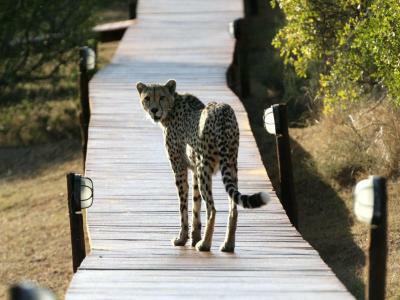 Lock in a great price for Bukela Game Lodge - Amakhala Game Reserve - rated 9.4 by recent guests. a wonderful place to be ! 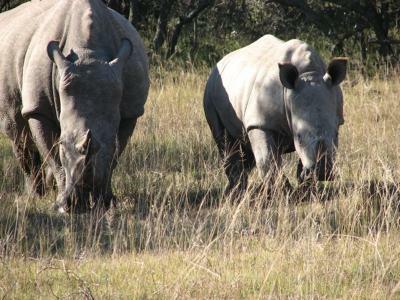 our ranger wanga show us the big five and much more ! Very friendly and caring staff! Food is delicious! 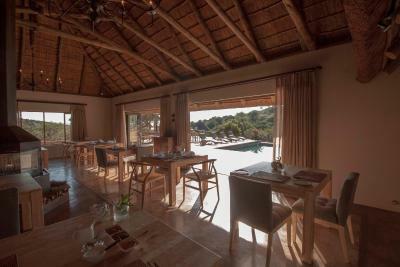 The rooms are outstanding - we had a nice view to a waterhole and could watch warthogs and deer while drinking water! 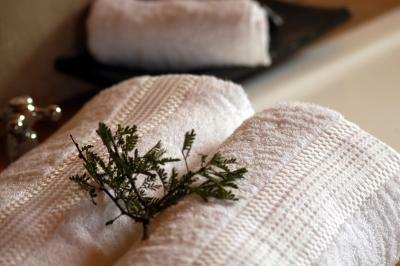 Peaceful situation, lovely luxurious ‘tents’. Staff very helpful and terrific ranger services. Excellent game drives. Real knowledgeable guides - in our case Jono. Great location. Super rooms. Amazing experience from start to finish. Staff were incredible, beautiful surroundings, really well organised. Seeing all the animals was incredible. Especially having a visit from an elephant to the watering hole at the lodge. 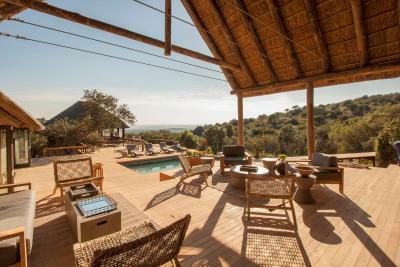 The location, the architecture/design of the camp, the "all inclusive" approach, the professionalism of the Ranger who drove us around, the beauty of the estate, the range of animals that we could view close up. We stayed in a luxury tent, which was nicer than many hotel rooms we stayed in. The game drives were great and our guide, Josh, was very knowledgeable. The staff were always keen to help and looked after us well. Excellent location, friendly and helpful staff, fantastic ranger, great food. 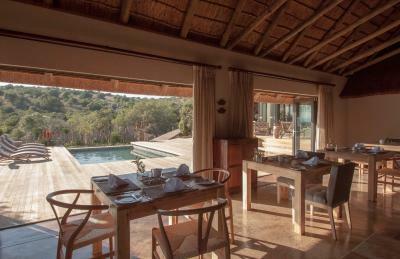 Situated in the Amakhala Game Reserve, Bukela Game Lodge features an outdoor swimming pool, a bar and panoramic views of the African bush. The air-conditioned suites include African-style décor, a fireplace and a private deck with outdoor seating. They also come with an outdoor shower. 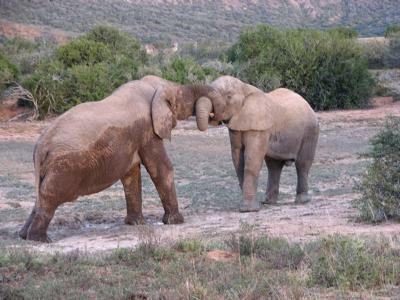 The Addo Elephant Park is located 34.2 miles away and Grahamstown is 37.3 miles away. Port Elizabeth Airport in Forest Hill is 55.9 miles away. Bukela Game Lodge - Amakhala Game Reserve has been welcoming Booking.com guests since 27 Sept 2013. 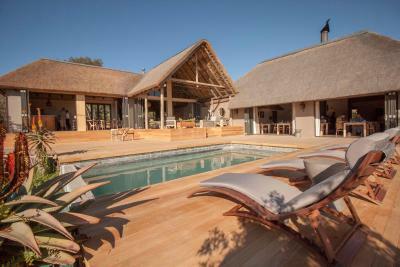 When would you like to stay at Bukela Game Lodge - Amakhala Game Reserve? This air-conditioned suite features a fireplace, patio with outdoor furniture, a minibar and tea-and-coffee-making facilities. It has a bath as well as an inside and outside shower. This air-conditioned suite has 1 extra large double bed or twin beds. It features a fireplace, a patio with outdoor furniture, a minibar and tea-and-coffee-making facilities. It has a bath as well as an inside and outside shower. 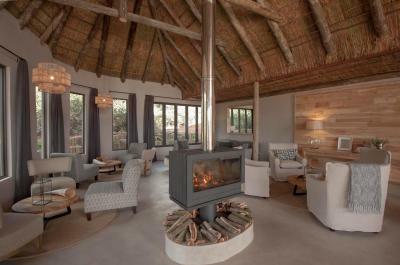 These spacious safari tents boast an open-plan lounge and a private viewing deck. They feature a full en suite bathroom, air conditioning, electric blankets and a mini bar. 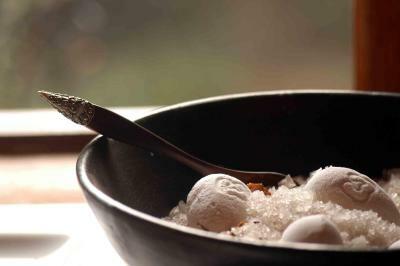 House rules Bukela Game Lodge - Amakhala Game Reserve takes special requests - add in the next step! Bukela Game Lodge - Amakhala Game Reserve accepts these cards and reserves the right to temporarily hold an amount prior to arrival. Please note compulsory conservation and park fees are applicable and excluded from the rates. Please contact the property in advance, prior to arrival for these charges. 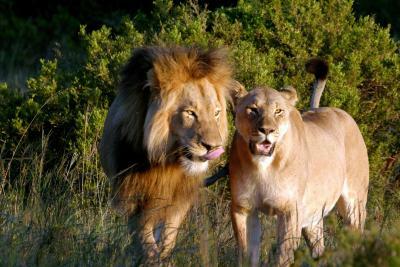 Please inform Bukela Game Lodge - Amakhala Game Reserve in advance of your expected arrival time. You can use the Special Requests box when booking, or contact the property directly with the contact details provided in your confirmation. coffee was often not available/ took forever since there was only one small brewer for 40 people, i had to hunt for my passport since they forgot to give it back after copying, the place has a feel of trying hard yet not getting there in terms of service. the guides are very helpful and passionate, great enthusiasm, cars are well maintained and ponchos for rain are provided, very nice tents and huts. The need for a proper espresso machine & a better shower head. Staff, game sittings, overall atmosphere. The food was occasionally average, mostly good. It’s not fine dining but it’s perfectly fine. Housekeeping forgot a couple of details in the room once or twice, no big deal and easily rectified. We had a pretty bad rental car - very low - and it struggled a bit on the drive in! Pretty bumpy dirt track - be warned. But we made it. Jonno was an amazing ranger and we loved our drives. Amakhala is a special reserve. The luxury safari tent was glorious! And the resort itself was beautifully done. We feel we got great value for money. Swimmingpool was not very clean. Food needs a little improvement! The shower - it was really difficult to regulate the temperature. Hot water kept stopping every 30 seconds.